One of our most private and largest rooms. 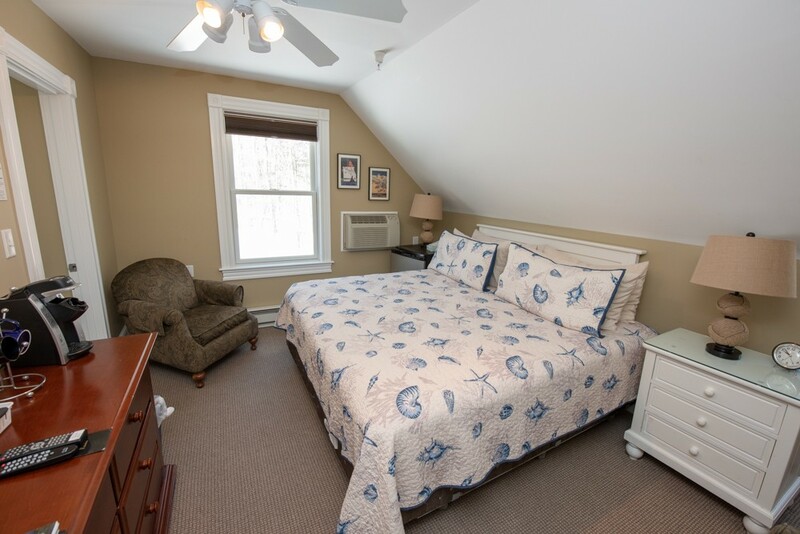 This room has windows to the west and the north, so you have extra light and a private wooded view. 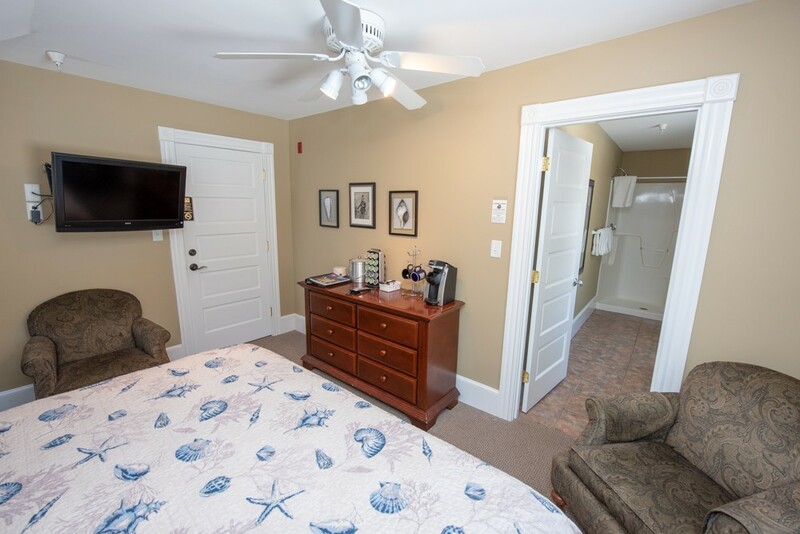 The bathroom is one of the largest at the Inn. 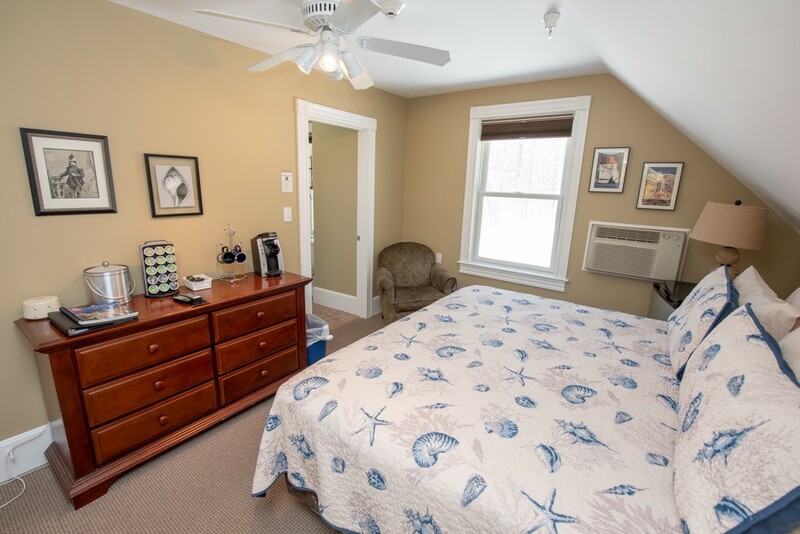 This room is a favorite for many guests that stay for extended visits. Two comfortable chairs and plenty of storage and hanging space.